The Gulf Coast Florida region of Marco Island is one of the most photographed and filmed in the nation, and its easy to see why. With stunning wildlife, pristine beaches and breathtaking views, Marco Island is a little chunk of paradise, chock full of photographic opportunities. 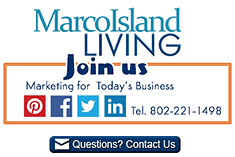 Ask us about your Marco Island – Naples FL photo tours or share reviews. To feature your business, contact us. Florida Wildlife Photo Tours from the Everglades, Naples Florida, Marco Island. Florida birds, wild animals, snakes, reptiles and more from MarcoIslandLiving.com. Click the photo to enlarge view. We spotted this black bird on Marco Island. Two ducks take a warm water swim on Marco Island. View south Florida wildlife on Marco Island Living. Many beautiful birds live and visit on Marco Island, Florida. Marco Island's favorite owl. The Burrowing Owl nests and lives on Marco Island Florida. A small lizard lives in Collier County, South Florida. South Florida Wildlife Photos from Marco Island Living. A flock on Pelicans gather on Marco Island. Marco Island wildlife includes plenty of Pelicans. View Florida Wildlife on Marco Island Living.